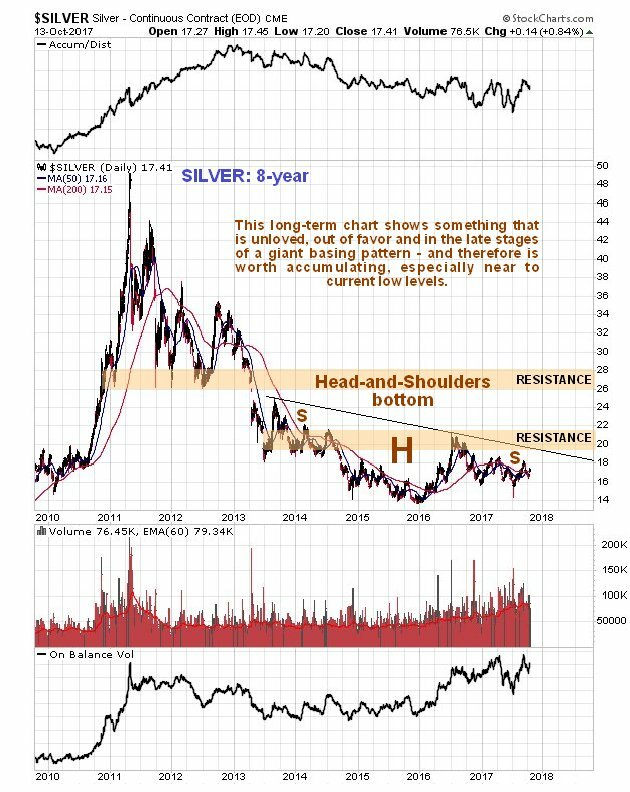 Like gold, silver is marking out a giant Head-and-Shoulders bottom pattern, but in silver’s case it is downsloping as we can see on its 8-year chart below, which reflects the fact that silver tends to underperform gold at the end of sector bearmarkets and during the early stages of sector bullmarkets. 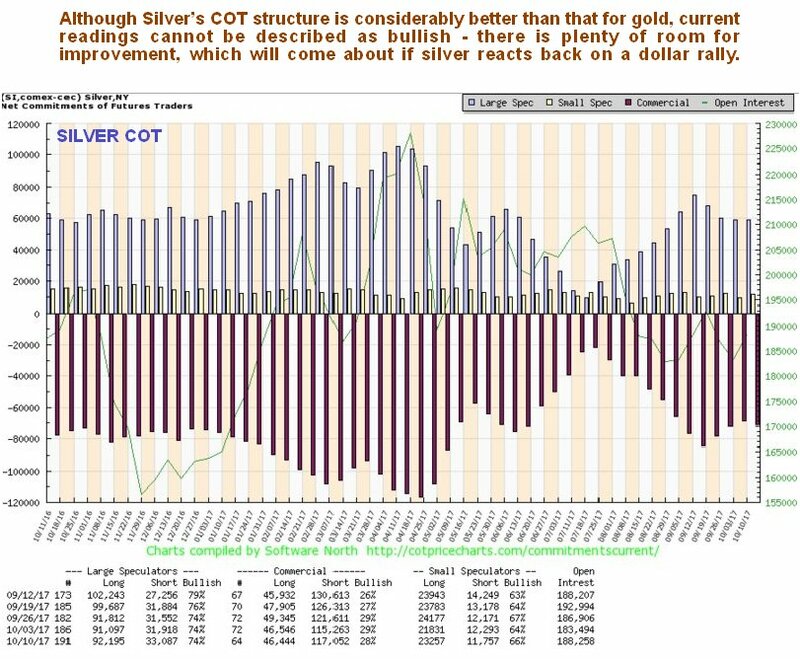 Prolonged underperformance by silver is therefore a sign of a bottom. 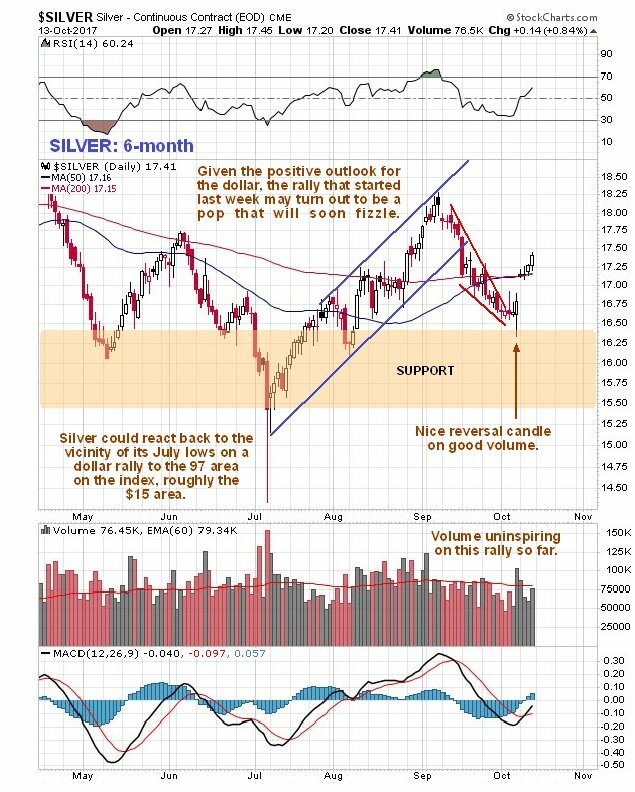 This chart really does show how unloved silver is right now, but although the price has drifted slightly lower over the past several years, volume indicators have improved, especially this year, a positive sign. A break above the neckline of the pattern, the black line, will be a positive development, and more so a break above the band of resistance approaching the 2016 highs. Once it gets above this it will have to contend with a quite strong zone of resistance roughly between $26 and $28. Silver is amongst the most unloved of all metals, a situation that is not expected to continue, partly because silverbugs are manic-depressive and they have been depressive for a long time, meaning that it surely won’t be all that long until they are on the rooftops singing Happy Days are Here Again, although it now looks like they will have to put up with another retreat by silver first as the dollar stages a relief rally.